GORGEOUS! 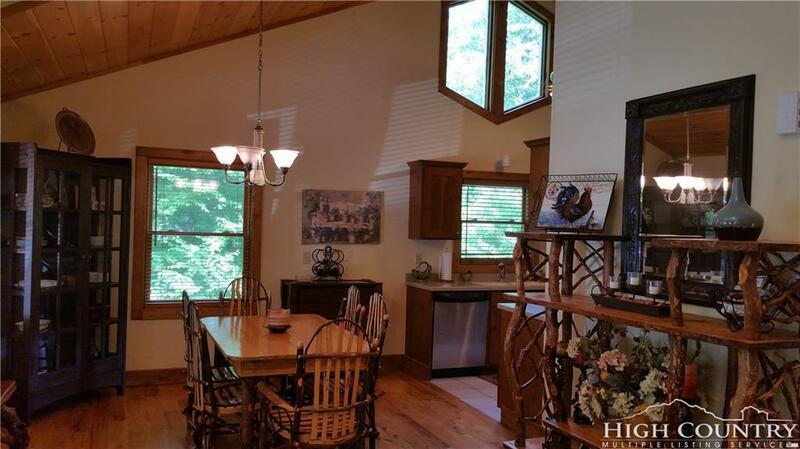 Beautiful, upscale mountain cabin style home on the ridge near ski slopes, Blue Ridge Parkway, Blowing Rock, Boone, ASU! 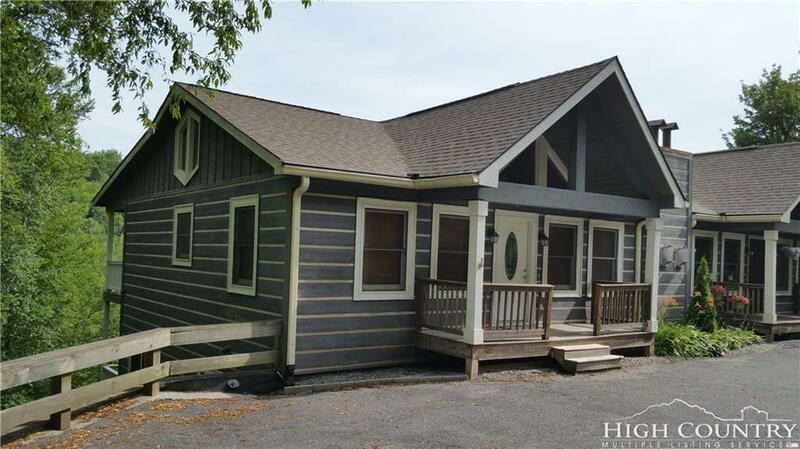 Sellers use this roomy retreat as a 3BR, 2 living area townhome. Easy access. Mountain views. Impressive design throughout this 2000+ sq.ft. townhome - vaulted/T&G ceilings, hardwood floors, easy flow. Lots of windows in the great room allow natural light to brighten the interior. 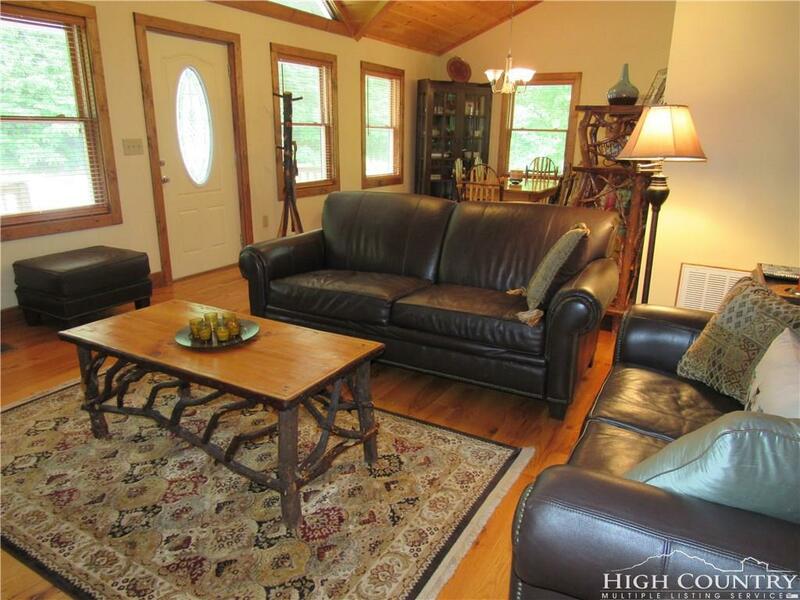 Master suite, great room with fireplace, kitchen, laundry, dining are ALL on the main floor. Kitchen has extensive cabinet and counter space. Covered porch on main floor and deck on lower level overlook woods and ridges. Downstairs has a spacious den and a full bath shared between a large bedroom and another room set up with twin beds currently used by the owners as Bedroom #3. Move-In Ready! Home looks like log cabin construction, but interior is drywall so interior is light and bright. 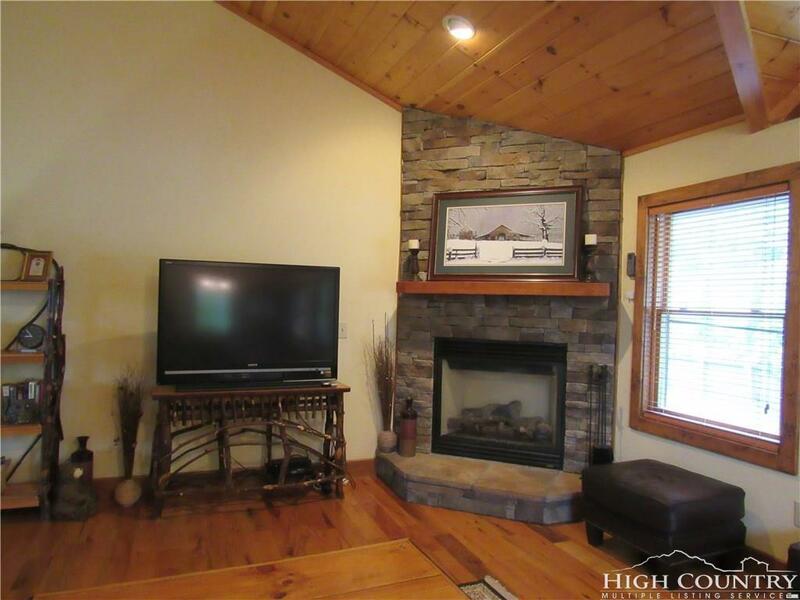 Convenient location for you or your vacation rentals to enjoy the mountains any season of the year. Ski slopes just around the corner. On the short cut on the back way to Boone - saves time going to ASU football games, restaurants, shopping, concerts. Close to hiking, fishing, Trout Lake. Listing provided courtesy of Robbie Sharrett of Lyons Construction And Realty, Inc..